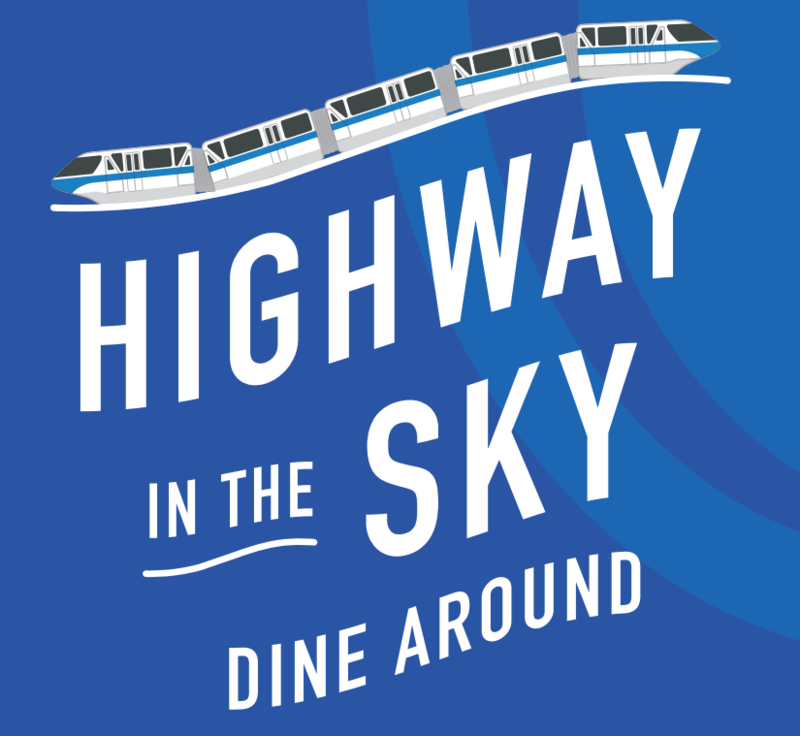 New booking dates become available starting Wednesday, January 18, for "Highway in the Sky Dine Around," a gourmet dining adventure like no other along the iconic Walt Disney World Monorail System. This experience becomes available Tuesdays–Saturdays from Jan. 18 through March 10. The five-course epicurean journey features stops at several resort hotels for cocktails, appetizers, dinner, and dessert, along with a VIP guide and private viewing of Wishes, Magic Kingdom's nighttime spectacular. Highway in the Sky Dine Around is a pre-paid experience, available on select nights for $150 per person, plus tax and can be booked by calling 407-WDW-DINE, through DisneyWorld.com, or by visiting any Resort Concierge. The event will begin at Disney’s Contemporary Resort and will continue with stops along the resort monorail beam. Event times vary based on Magic Kingdom's operating hours. Click here for additional details. LOGO: © 2017 Walt Disney World Resort. All Rights Reserved. If someone tries this please share your experience it looks nice and sounds worth the $150 each. My parents and I did this in December 2016 and although it was a nice evening, there were a few things that made us decide not to do it the next time. Firstly was the amount of alcohol being pushed at you - it was at all three hotels and they made a big thing of how many shots were in their drinks - I had the car so that was a non-starter. We had to ask repeatedly for soft drinks that really should have been readily available. Secondly, it felt quite rushed, being herded from one place to another and the hike from the Floridian to the boat and then to the back of the Contemporary at the end was too much for my mum who suffers from asthma. Finally, the fireworks viewing from the Contemporary was lovely, but there were only around 10 seats and once you had snagged one, you could not get up to go and get dessert and coffee or it would be taken. Obviously this was just our view of the evening, but we felt that the price of $150 was too high.